All proceeds go to the California Distance Running Project event to take place from June 24-29, 2019 in the San Fernando Valley, California. 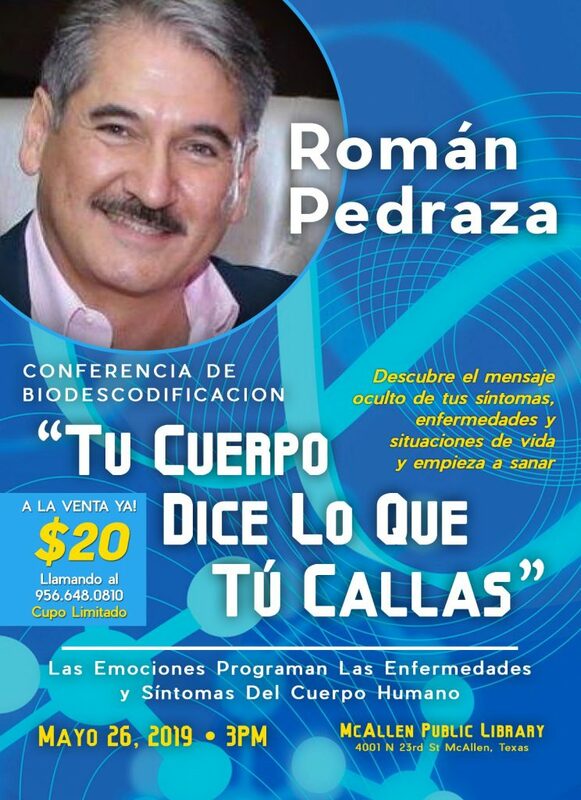 Roman Pedraza presenta esta Conferencia de Biodescodificacion; “Tu Cuerpo Dice Lo Que Tu Callas” este proximo 26 de Mayo del 2019 a las 3:00PM en el McAllen Public Library localizado en 4001 N. 23rd St. McAllen TX 78501. Las Emociones programan las enfermedades y sintomas del cuerpo humano. CUPO LIMITADO, COMPRA TUS BOLETOS YA! 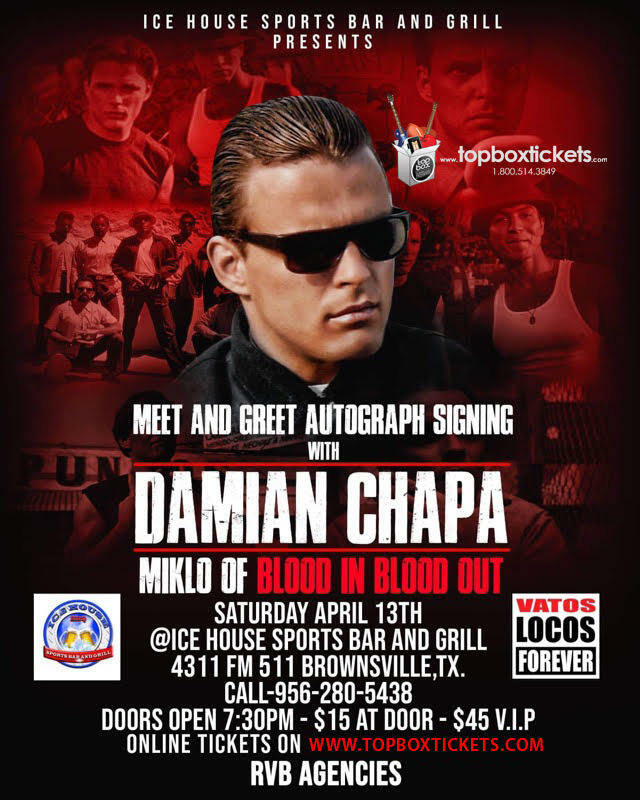 Damian Chapa ; Miklo from Blood in blood out will be at the Ice House Sports Bar & Grill for a Meet and Greet. 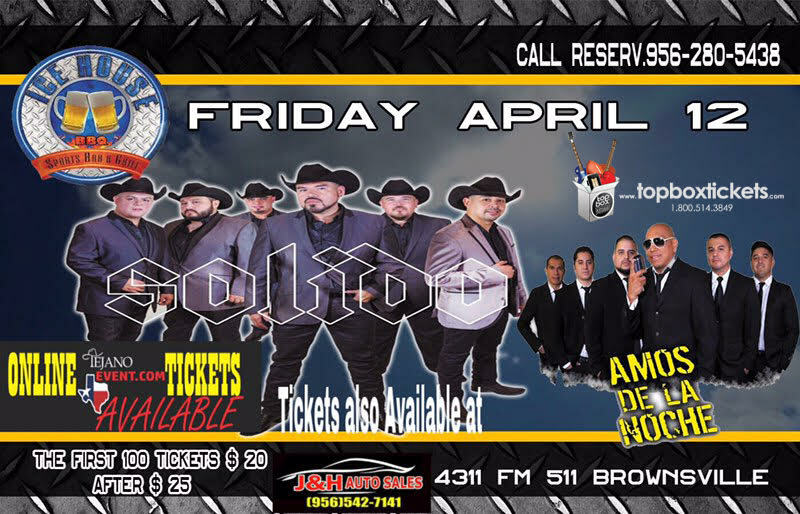 Saturday April 13th 2019 at 4311 FM 511 in Brownsville TX. 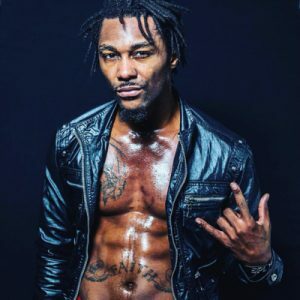 Get your tickets now! 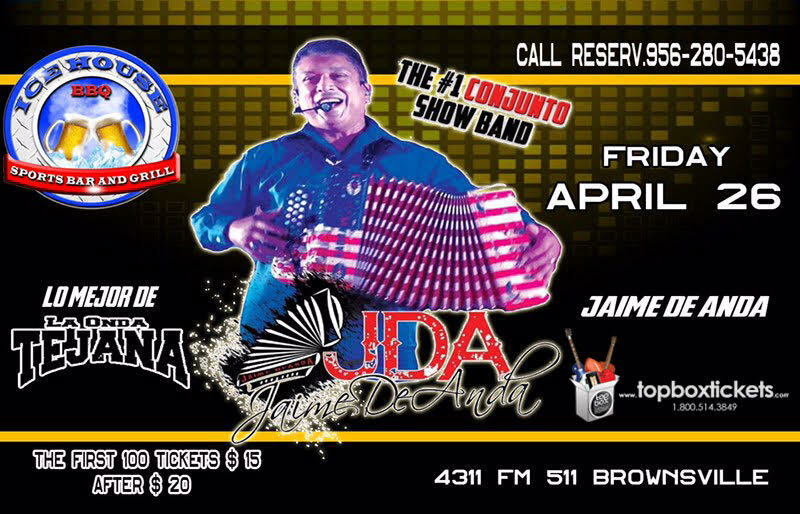 Este proximo 26 de Abril se presenta Jaime de Anda en el Ice House Bar & Grill localizado en 4311 FM 511 Brownsville TX. Then you turn around and head back . Welcome to “PANCHO VILLA” Road. Out and back. 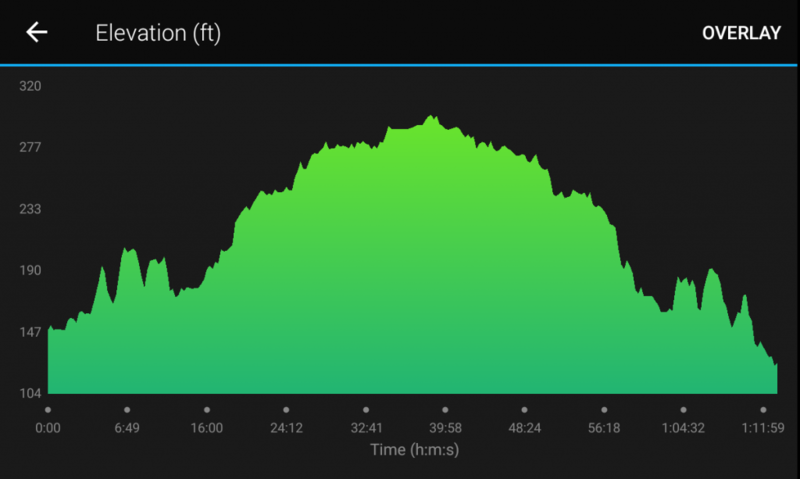 10 Miles. No shade. No frills. Just hills and caliche. 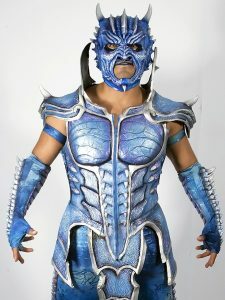 Los mejores jinetes como “LOS ARCANJELES DEL PACIFICO”, “EL MALILLO DE NAYARIT”, “EL YIYO DE NAYARIT”, “EL RAYITO DE TETECALA MORELOS”. 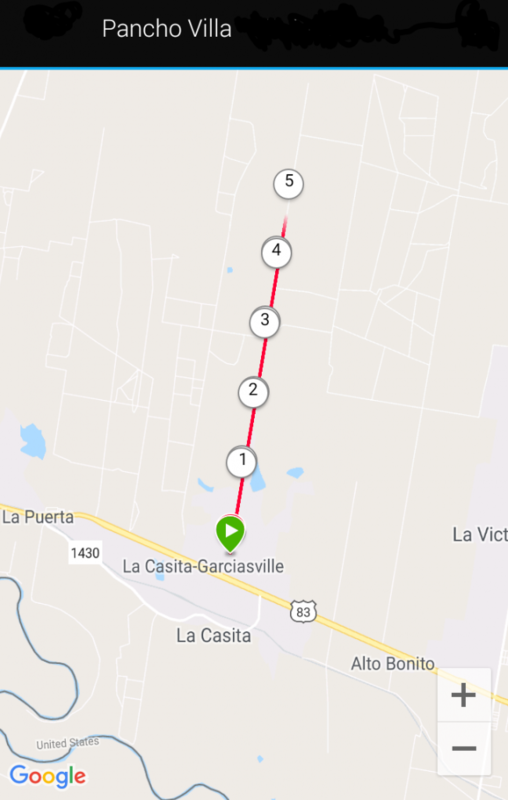 Tambien Toros pura lumbre del rancho “El Porrazo”! Ademas Diversion para ninos como ponys y trampolines y ambiente 100% familiar! Antojitos Mexicanos y Mas! 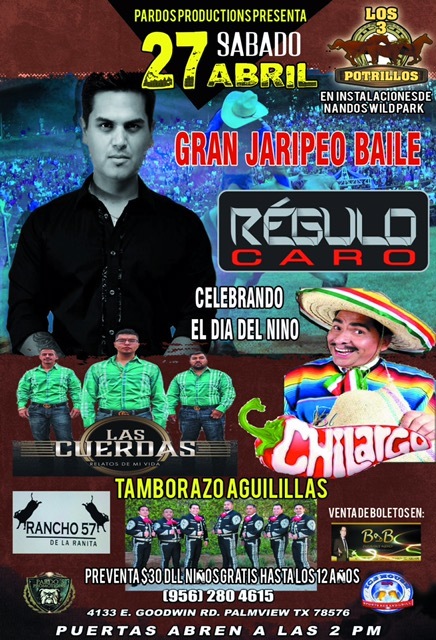 Puertas abren a las 2:00PM en Los 3 Potrillos antes “Nandos Wild Park” de Palmview TX. Preventa de boletos en $35.00 mas cargos de servicio en locaciones de Ticket Zone, Hermes Music, y BootJacks del Valle! Please call (310) 200-9663 for group discounts. “Valentina” explores the in-between-ness of cultures within the realm of dance, harmonizing traditional Mexican Folklorico with contemporary and classic ballet. Founder and Artistic Director Andrea Guajardo is a native of the Rio Grande Valley and looks forward to engaging Valley audiences through Ballet Nepantla’s artistic innovation. Special Opening Performance by Allegro Ballet School. The Allegro Ballet School provides outstanding technical training in a positive environment that focuses on the life skills of dependability, punctuality, responsibility, respect, and teamwork. Part of the CreArte Exp: Latino Cultural & Comic Festival. Visit CreArteExpo.com for more information about this and the other events. 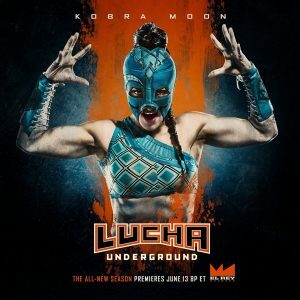 March 24 – 31. 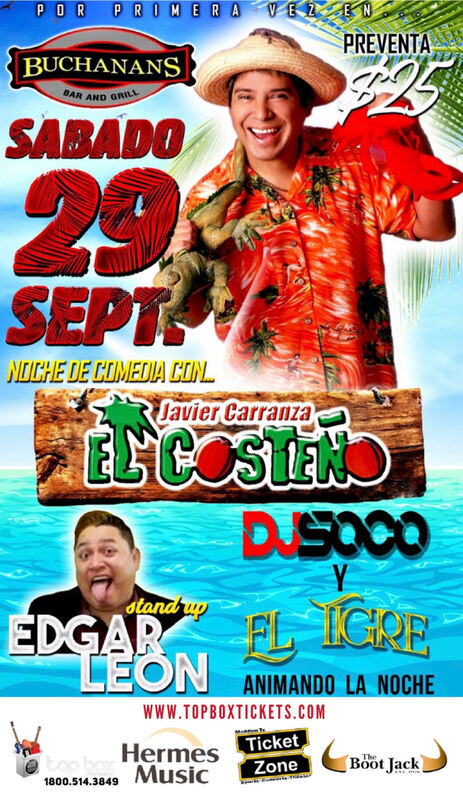 No se pierdan una nuche de muchas risas con EL COSTENO en Vivo este Sabado 29 de Septiembre en el Buchanans Bar & Grill localizado en 528 N. Bentsen Palm Dr. Mission TX. Compra tus boletos a $30.00 mas cargos de servicio aqui o en Hermes Music, The Boot Jack, Ticket Zone o al 1800 514 3849. PRESIONA EL LINK DE ABAJO PARA COMPRAR TUS BOLETOS! 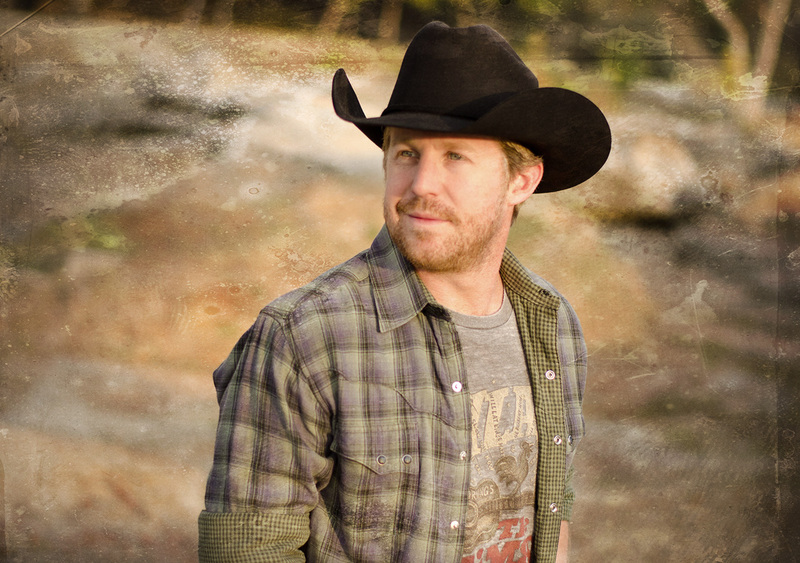 Get your tickets to KYLE PARK Live at the Ice House Sports Bar and Grill on Saturday October 13, 2018! www.topboxtickets.com / Hermes Music / The Boot Jack / Ticket Zone locations! 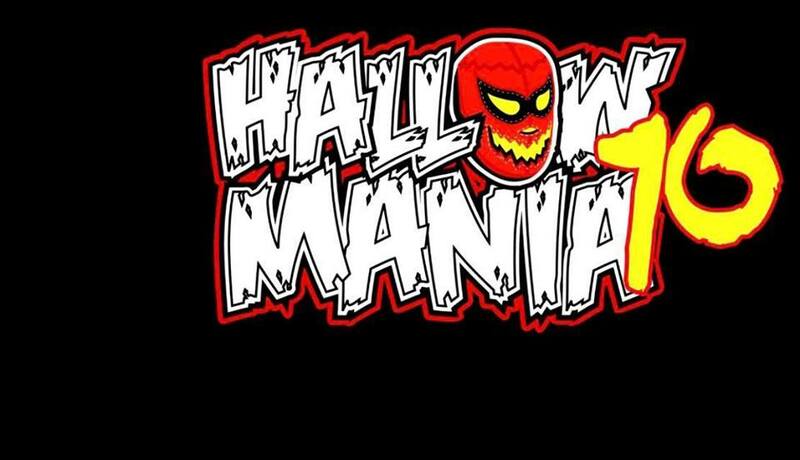 No te pierdas este proximo Sabado 20 de Octubre a pasarla de maravilla con nosotros en HALLOMANIA 10 en el Jacob Brown Auditorium de Brownsville TX! 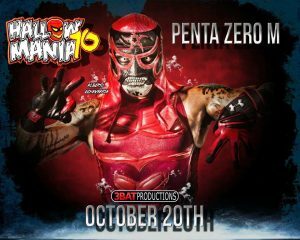 Siempre sold out y esta ves con mas luchadores, artistas, presentadores!! No te quedes fuera y compra tus boletos ya aqui o en 1800 514 3849, Hermes Music Stores, The Boot Jack, o locaciones de Ticket Zone! Boletos a $20.00 y $25.00 mas cargos de servicio! 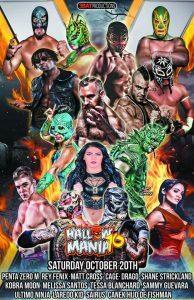 Penta Zero M, Fenix, Cage , Shane Strickland (killshot), Sammy Guevara, Tessa Blanchard, Kobra Moon, Matt Cross (Son of Havoc), Laredo Kid, Drago, Fishman Jr, Canek Jr y Muchos Mas! 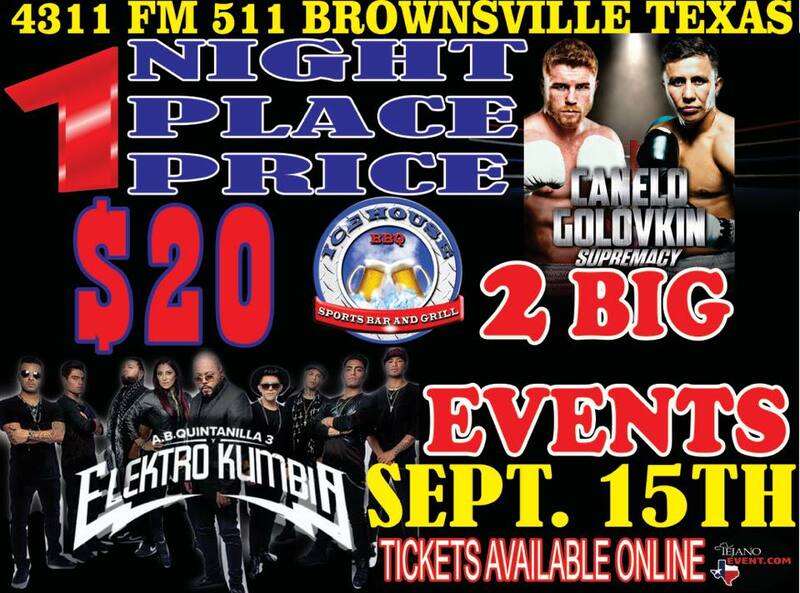 Come out and watch the fight everyone has been waiting for and afterwords AB Quintanilla will take the stage to deliver a show you don’t want to miss! 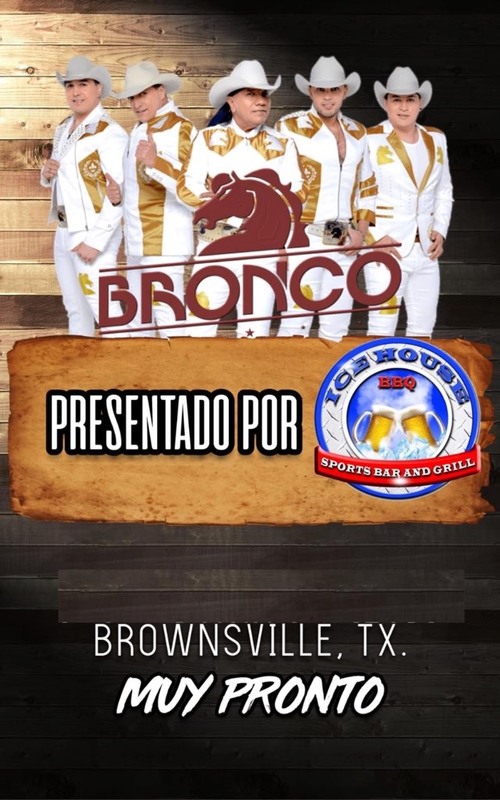 Ice House Sports Bar & Grill located at 4311 FM511 Brownsville TX Get your tickets now! 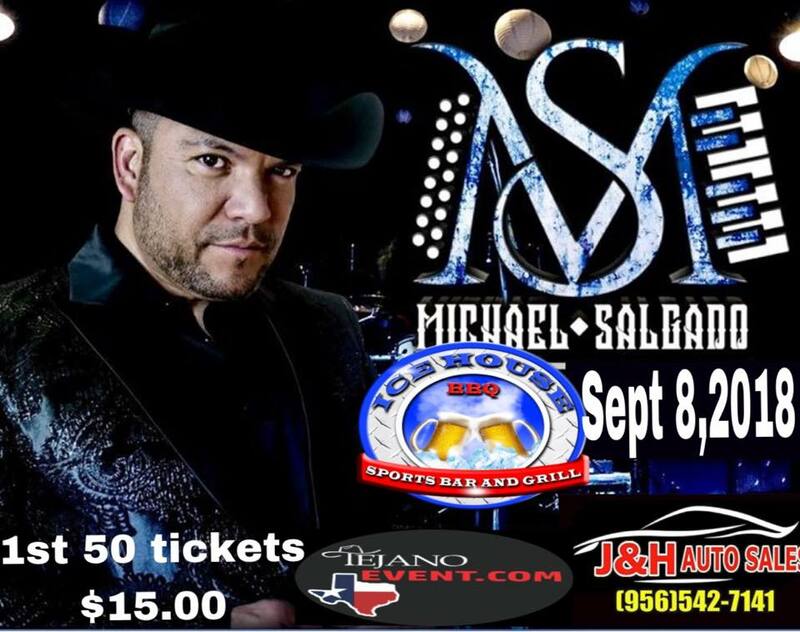 Michael Salgado Live at the Ice House Sports Bar & Grill this Saturday September 8th, 2018. 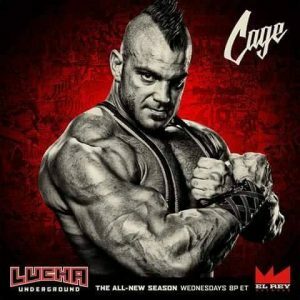 Doors open at 7:00PM and Show starts at 10:00PM. 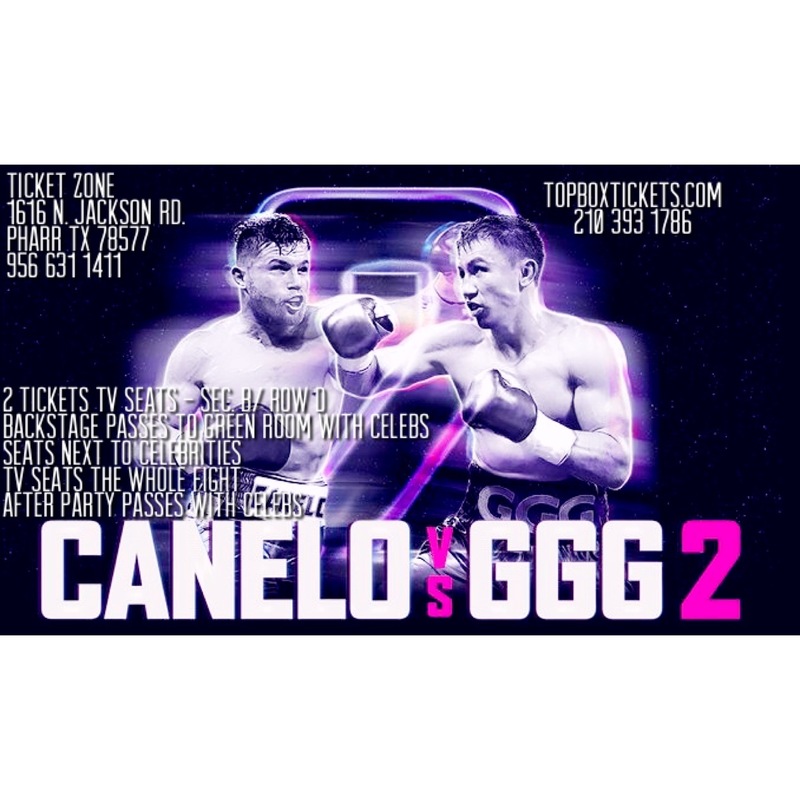 Get your tickets now at www.topboxtickets.com! 2 VIP TV Seats in Section B, Row D (4th Row) , Green Room passes with Celebrities and After Party Passes with Celebrities.